Maybe it's from all the Marios dying while the developers were making the game. Scary! Many Zombie Marios! So many deformations! 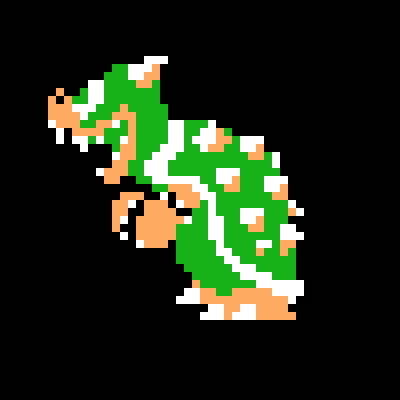 I redrew Bowser in a way that gave him hair. Something that the original crew wanted to do as seen in promo art but were unable to due to CHR RAM limitations. I also gave him an eyebrow. Expect this in next week's build. *No room for the palette swapping routine so Goro Itoi is used on all castles. 3. Double Death #2 - I couldn't find a video of this one, but the site describes it very well. 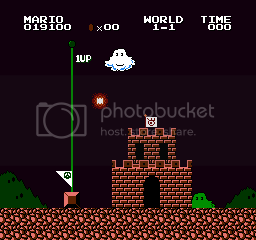 On SMB1 I decided to do a little more with (because I had the opportunity to). I remade the tiles of SMB1's Ghost House from Mario Maker and made use of them in my tile swapping routine. I've utilized tiles from all the remakes and ports of SMB1 (since I used level designs from ANNSMB, VS SMB and SMB Special on these games). 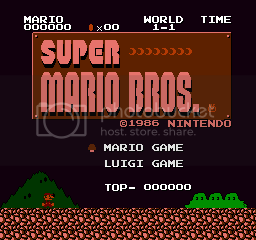 The pixelated bushes from SMB Special have been used in place of the beta cactus; the VS SMB ground tile has been used in the place of the beta ground tile. On SMBTLL on Side B, the beta tiles are still there and used. 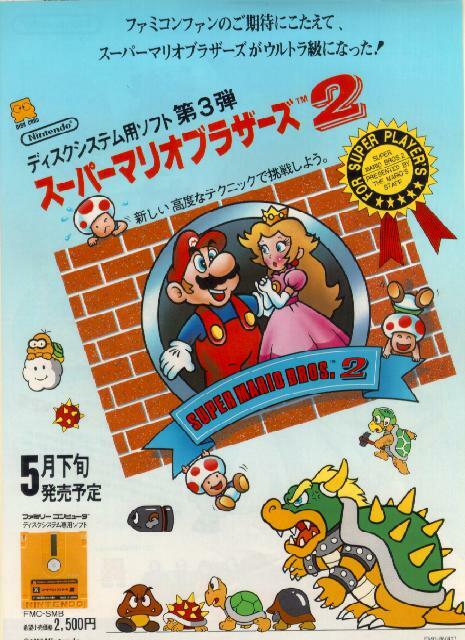 In addition, I've used the special 25th anniversary tiles on SMB1 from the special Japanese Wii red bundle. 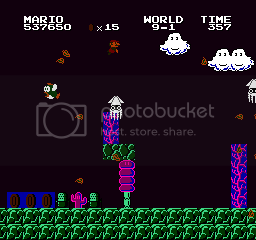 The most amazing thing this far are the SMB1 Ghost Tiles which I think I'm the first one to make for the NES. 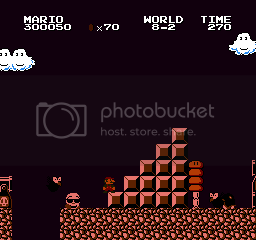 If you read my post from earlier today, you should see that I've made some tile additions to the SMB1 portion. But I cannot decide on this and want some opinions: should I leave the water tile alone I ripped from VS SMB or should I use this new one I remade which is from the wintry stage of SMB1 in NES Remix? Is your gamma just out of wack, or are your palettes all extremely dark? If I see ShaneM hanging around in IRC, I'll try to remember to remind him to upload it.